Quite popular for its calm and scenic beaches, the town of Kovalam, 16 Km away from Kerala’s capital Thiruvanthapuram has an array of other tourist attractions worth a visit. While the different beaches are a definite highlight of this place, travelling along the coast or away from it, travellers can explore picturesque backwaters, rivers and dams, and visit places of worship as well. 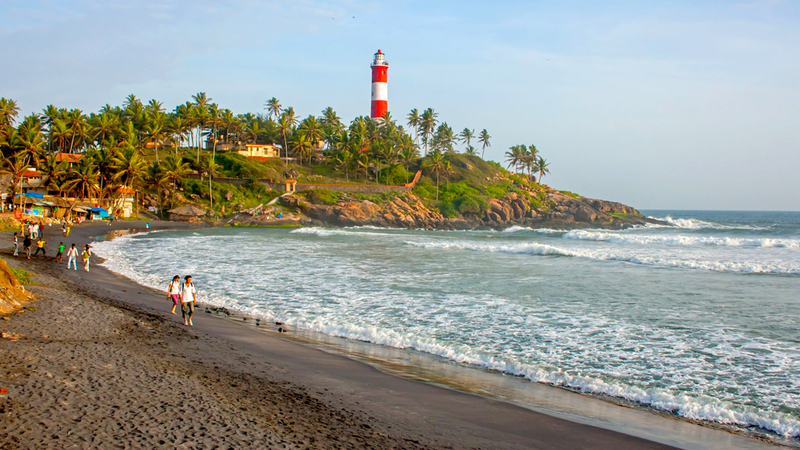 Here’s a list of places in and around Kovalam, both popular and offbeat, for you to include in your travel itinerary. 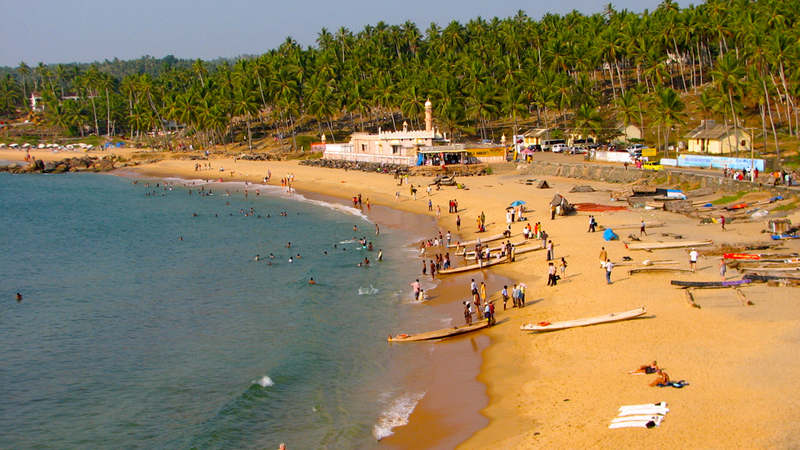 The crescent shaped bay of the Kovalam beach comprises three adjacent beaches separated by rocky headland. Lighthouse Beach: A popular tourist spot, this beach is always abuzz with activity. Travellers are treated to exceptional views, strong waves, and an array of local food at the eateries lining the beach. The beach is named after the stone lighthouse that sits atop a neighbouring hillock, flooding the space with intermittent flashes of light once the sun goes down. The lighthouse itself is a pleasure to visit. The lift ride nearly reaching the top of the structure and a flight of stairs to the viewing platform and the scenic panoramic visuals are a great experience. Hawa Beach: This clean, calm and windy beach is bordered by coconut palms and is preferred by travellers who wish to stay away from the holidaying crowds. It is possible to stroll along the beach, laze out in the sun, opt for a boat ride, surf the waves and also sample lip-smacking sea-food delicacies at the shacks near the beach. Catch a glimpse of the moonlit seascape at this beach if possible. Samudra Beach: Less frequented among the three beaches, this beach is secluded and clean as well, offering beautiful views, some privacy and separate access from several luxury resorts that line the beach. Sunsets are worth a watch, but it is not advisable to visit the beach late evenings or at night. South of the Samudra Beach, this beach too is a haven for those who enjoy quiet strolls on the scenic shores, with very little disturbance to the serene settings. Staying a beach resort nearby could prove a great way to soak in the beauty of this locale. A small bay protected by rocky outcroppings, the Grove beach is almost a vast swimming pool with calm water and no big waves. Speed boat rides to the other nearby beaches prove an exhilarating experience, but may be priced steeply. Away from the busy beaches and with a part of the beach open to guests from a private resort, you may not find any shops or eateries close by. Half-hour drive from Kovalam, this beach is where the backwaters open out to the sea. Bordered by lush greenery, fine sand and sparkling waters it is a great place to catch up on sun bathing, swimming and tasty seafood at the beachside kiosks. The rich vegetation also draws several migratory birds, and their sight is bound to be a treat for avid photographers and bird lovers. An hour’s drive from Kovalam and closest to Thiruvananthapuram airport, this clean beach is the favourite of locals. It can get crowded, especially during local festivals. 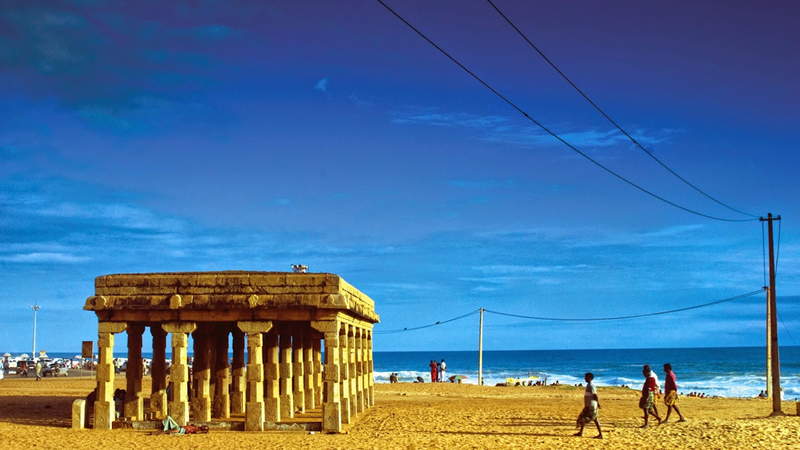 Notable features include an impressive Mermaid statue nearby and the Valiathura Pier, an ancient fragile pedestrian bridge leading to a loading dock out in the sea, offering excellent views of the ocean to travellers who can brave the short walk. 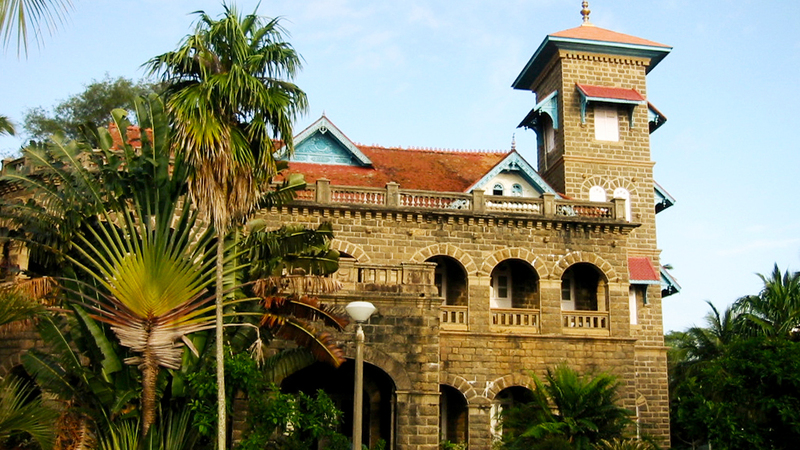 Once the summer retreat of the Royal family of Travancore, this castle is now converted into a hotel and run by a private resort group. Historical significance, well maintained external landscape and a blend of colonial and regional architecture draw tourists to this spot. The property though is under legal dispute. 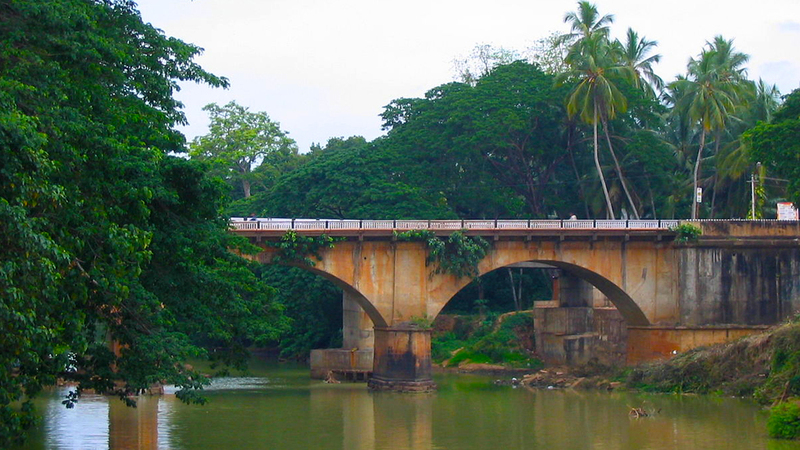 The Karamana river merges with the Arabian Sea, just off Kovalam after journeying through 66 Km of land from its origins in the Western Ghats. With several bridges spanning the river at different points, picture postcard snaps are quite easy to capture. 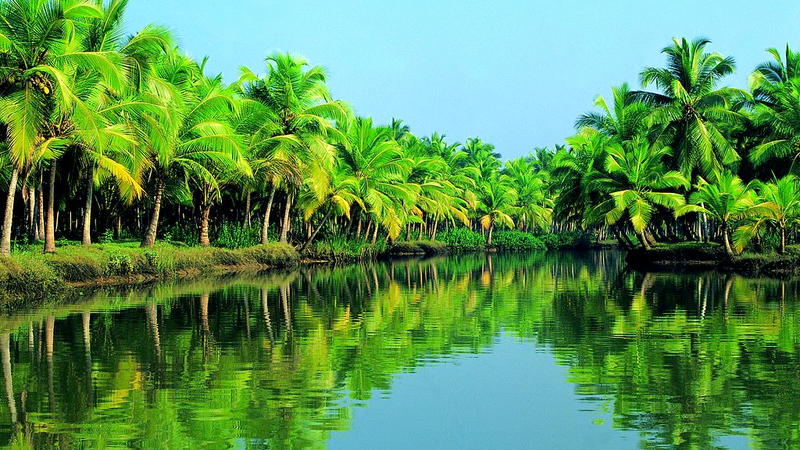 Bordered by verdant landscape with thick vegetation, boating on this river is a pleasant experience. 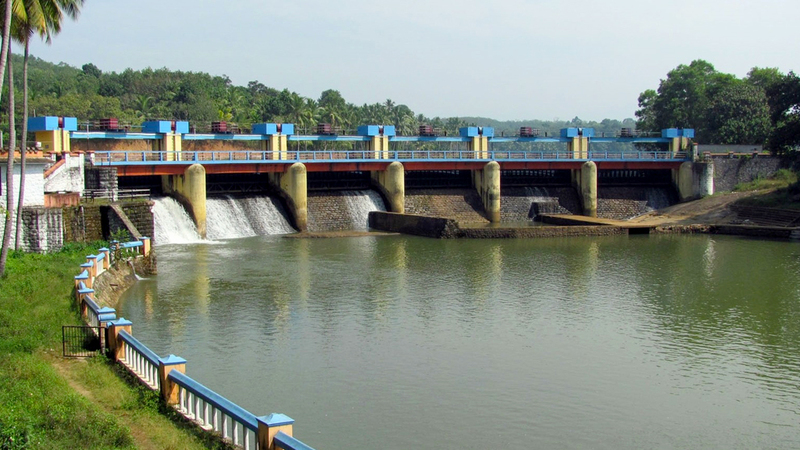 Built on Karamana River, this dam is located 15 Km from Thiruvananthapuram and easily accessible via local transport as well. The reservoir and adjoining garden space is an ideal picnic spot that draws several visitors during the weekends. Boating trips at a reservoir can prove a delight. A visit to the nearby Durga temple can also be included in this outing. Thiruvananthapuram’s largest fresh water lake, Velliyani, is a calm and delightful setting with clean, clear waters filled with lotus flowers. Popular for the spectacular visuals created by moonlight on these waters, the lake is also known for boat races during the annual Onam festivities. While travellers can enjoy a boat cruise on the lake, it is also possible to reach the lake on country boats from Kovalam as well. 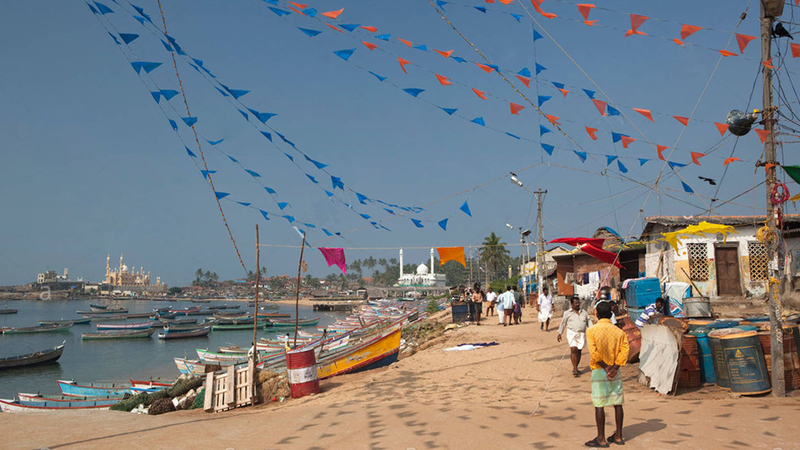 This busy and scenic fishing village near Kovalam also is home to a natural port where fishing boats abound. An overwhelming smell of fish lingers heavily in the air, which makes it necessary to soak in the view from afar, unless you can brave nausea. Fishermen venturing out to sea and returning with the catch are common sights here. Backdrop of the setting is the impressive Vizhingam Juma Masjid. At the local harbour, tourists can witness a demo plant that harnesses energy from sea waves to generate power. Vizhingam Marine Aquarium: The Saagarika aquarium houses a colourful array of rare fish, including sharks, surgeon fish, piranhas and giant turtles, which is a pleasure to observe. The research centre here has perfected a technique to produce perfectly shaped pearls by injecting a lime mould into the Oyster. In 3 month’s time, a pearl in the shape of the mould gets created. Vizhingam Cave Temple: This 18-century temple of Lord Shiva and Parvathy carved out of rock houses an exceptional set of sculptures that proclaim the skills and craftsmanship of the artisans. Interestingly these sculptures of the Shiva and his consort are not fully finished. Archeological excavations have led us to believe that Vizhingam has also been a port of historical significance with trade relations with Dutch, Portuguese and Romans, among others. 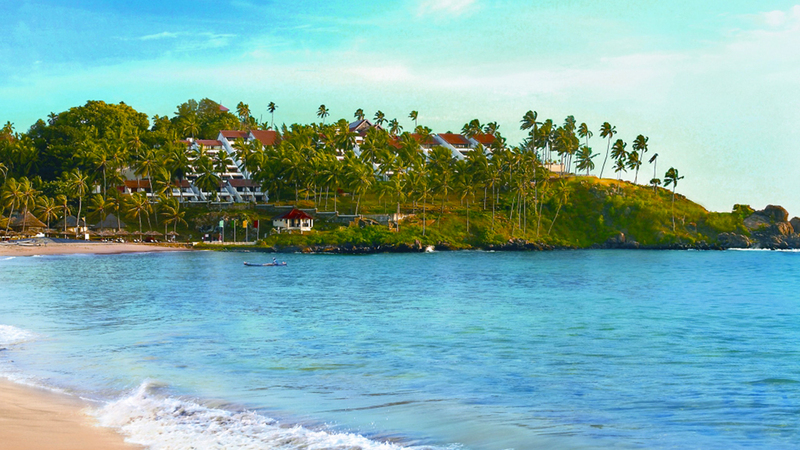 The town located just 6 Km off Kovalam is also a treat for travellers. 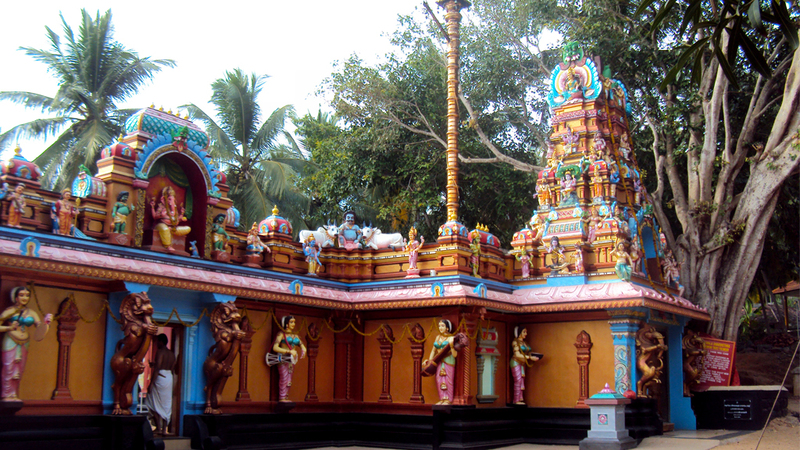 Parasurama Temple: On the banks of the Karamana river lies this 2000-year old temple dedicated to Lord Parasurama, who is believed to have created Kerala, according to ancient mythology. The temple is a popular site of ancestral worship where respects are offered to departed souls. 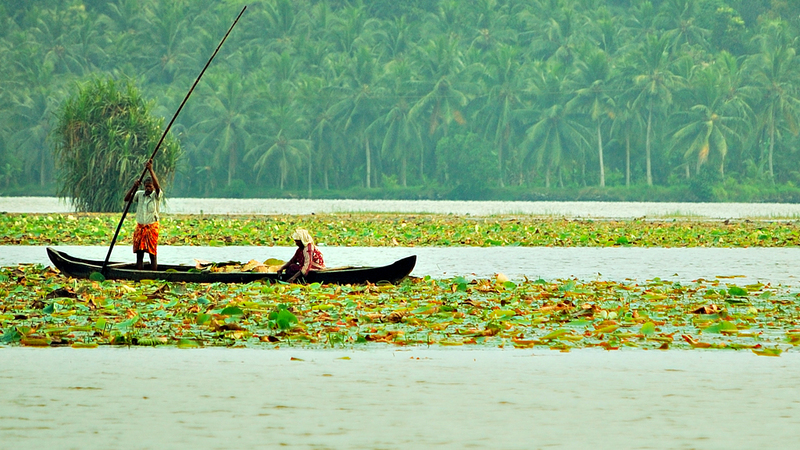 Thiruvallam Backwaters:Cruising on the backwaters at Thiruvallam is indeed an enjoyable experience. Kayaking, canoeing or rides on the local country boats are ideal to explore the scenic landscape bordering the waterscape. Trips to nearby islands and coir production units are also organized by the local Boat Club. A 20-minute drive from Kovalam brings travellers to the Siva Temple at Aazhimala, right on the shores of the Arabian Sea. Believed to be visited by Bheema (Pandavas), this temple, offers a peaceful and soothing experience. Rocks covered in moss bordering the sea shore on one side, a clean and calm open beach on the other side, this temple set on the beach is a must visit. 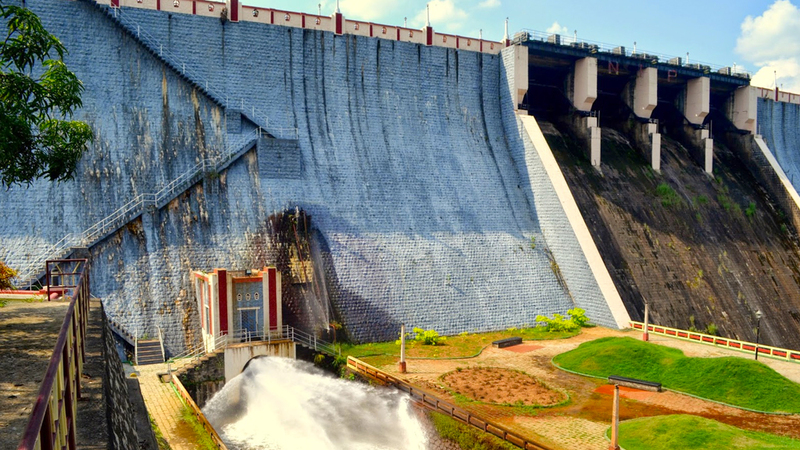 An hour’s travel from Kovalam, Neyyar Dam is yet another scenic locale that draws tourists. Close to the wildlife sanctuary and nestled amidst greenery, travellers may also catch a glimpse of wildlife during their excursions. 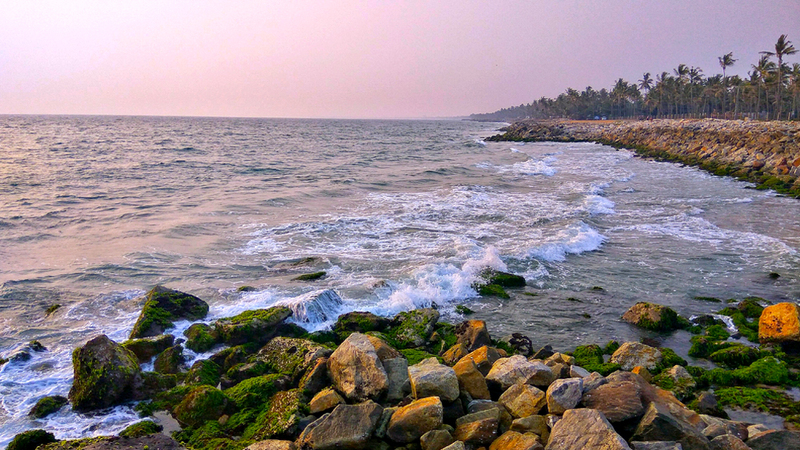 There are several places of interest in and around Kovalam that can be easily explored during the day. Do take time to plan your visit and take adequate precautions to battle the sun if travelling during the summer months.